Rock your way through Advent and Christmas with this hip, joyful and reverent collection of Christmas classics and all-new compositions from Curtis Stephan. Mixing hard-rock and ballad-style renditions of popular carols with newly composed original songs, Born to Us is not your grandma's Christmas album. Curtis cranks it up on a number of tracks, electric guitars and drums expressing his obvious enthusisam for this holy season. Hip, joyful and reverent, Born to Us makes excellent listening throughout Advent and Christmas. Highlights include Curtis' innovative, pop-rock arrangements of "O Come All Ye Faithful," "Joy to the World," and six other traditional holiday favorites. "Angels We Have Heard on High" jumps and dances, showcasing his penchant for jazz and his amazing proficiency on trumpet. "Gloria in Excelsis," an original, world-beat song, was selected to appear on Christmas Child, the Mercy Corps benefit CD. Co-written by Jesse Manibusan, "Someone Is Waiting" is also on that compilation, though in a slightly different arrangement. Featuring Jesse sharing lead vocals with Curtis, this heartfelt ballad is a call to action, a reminder that many need "more than just our prayers." The title track, an electric-guitar-powered retelling of the Nativity story, bristles with energy. Rich in biblical imagery and homey details, it translates the mystery of the Incarnation into a modern musical language anyone can understand. Members of the holy family become real: "They found a lonely stable beneath the starry sky, to host the greatest moment ever known. She was young, they say, a girl of just 13." "Why would an infinitely large and powerful God come to our small and broken world?" Curtis asks in the liner notes. Hearing these 14 songs, you'll discover renewed faith in the awesome love of Jesus, the One who was born to us on a winter's night in Bethlehem. This is the MP3 playlist for the CD Born to Us. Mixing hard-rock and ballad-style renditions of popular carols with newly composed original songs, Born to Us makes for excellent listening throughout Advent and Christmas. Curtis' enthusiasm for these holy seasons shines through with innovative arrangements that also highlight his jazz and pop-rock influences. Forget what you know about Christmas carols. Curtis' innovative arrangements of traditional holiday favorites make these timeless classics feel fresh and new again. The songs positively dance and sing, and you will too! And just to keep things interesting, this album includes a number of all-new original songs from Curtis, bursting with energy and devotion to Christ. The title track, an electric guitar-powered retelling of the Nativity story, brims with energy. Rich in biblical imagery and homey details, it translates the mystery of the Incarnation into a modern musical language anyone can understand. Co-written with Jesse Manibusan, "Someone Is Waiting" is a heartfelt ballad that serves as a reminder that many individuals need "more than just our prayers." Whether you love classic Christmas carols or are looking for something new this holiday season, you can certainly kick your Christmas celebrations into high gear with this amazing blast of energetic love and dedication to the Lord. 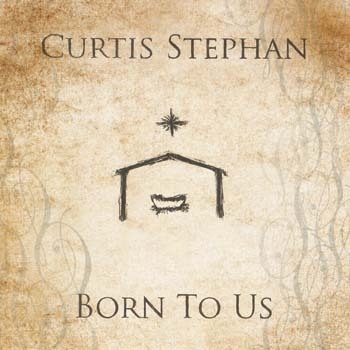 Born to Us is the perfect way to welcome Christ to the world.